Make animations easily and export them as sprite sheets or animated GIFs. Onion skinning helps with aligning things between frames. Pyxel Edit can import images of tilesets or mockups and identify all the unique tiles automatically, allowing you to edit and rearrange old tilesets or doing edits of mockups easily. Export your canvas tilemap in XML, JSON or plain text format for super quick game prototyping. You can also repeat the last export operation with a keypress, to quickly re-export for small changes. 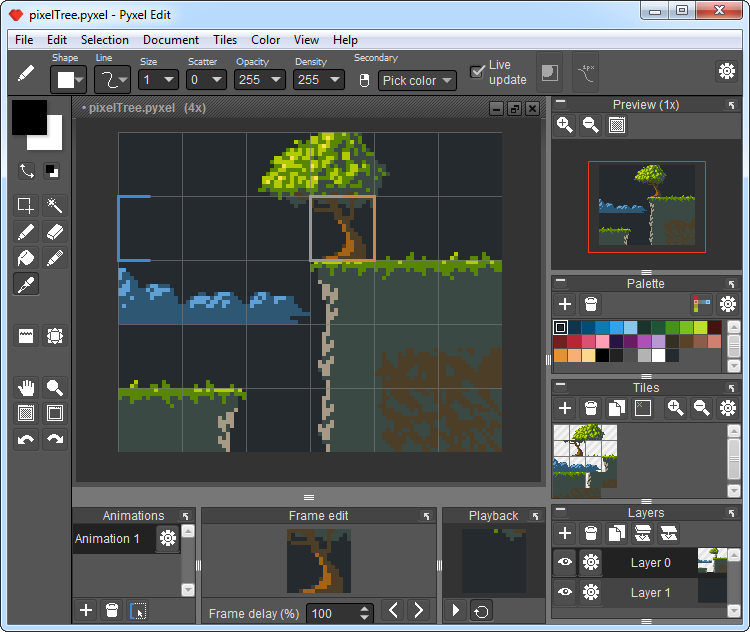 Designed to feel familiar to other graphics applications, Pyxel Edit is really easy to learn. The interface is similar to other graphics applications such as Photoshop.